How Do School ERP Modules Differ From College ERP Modules? What are school ERP modules or college ERP modules? School ERP modules or college ERP modules are both management software that helps your educational institution – whether a school or a college – run more efficiently. Both school ERP modules and college ERP modules are essentially tools or platforms that take over and automate certain processes that the educational institution functions on. Currently, these functions or tasks are being performed by humans and are thus error-prone, not to mention the massive labor cost and time commitment they incur. School ERP modules and college ERP modules help reduce this burden, thus boosting productivity and efficiency within the educational institution. While both school ERP modules and college ERP modules are often used interchangeably, some differences do exist that must be kept in mind when purchasing or using either. These differences may seem minor or easily worked around using either school ERP modules or college ERP modules but it is important to be aware of these variations before using either of these two types of management software. When it comes to exams, schools and colleges run on different schedules and thus need different modules. For instance school ERP modules function on a semester wise or quarter wise system, with regular examinations and assessments taking place every six months or three months, depending on the school’s examination schedule. For a college ERP module, however, the examination usually takes place course wise, once a semester. Students sign up for courses, not semester, meaning that not all students will take the course exam in the same year, necessarily. This is especially the case in more senior years at college, once mandatory or required courses are completed and college students move to take elective courses entirely. At a school, however, the subjects and administration of their exams are more standardized. Assessment is also an area in which there has to be some differentiation between school ERP modules and college ERP modules. In school, one cannot progress from one year to the next without passing all the subjects that are being taught that year. This means that one cannot just repeat a subject while moving on to the next year with other subjects. The school ERP module is set up to assess students accordingly, using this pass and fail the assessment system. In a college, however, students can have a backlog while still progressing from year to year. This means that they can write makeup exams or retake a previous years exam without a time delay in terms of their progression from year to year. A college ERP module’s assessment rules are thus set up accordingly. At a school, attendance is assessed in various fashions – it is unlikely that a student who has marked their attendance for a day is going to be missing attendance for individual subjects unless sanctioned to do so. Attendance is thus a disciplinary issue. School ERP modules may thus mark attendance by day or throw up a red flag if there is an unsanctioned absence. In college, however, attendance is assessed subject wise at the end of the year and being able to sit for an exam is predicated on meeting those attendance requirements. Attendance thus becomes a prerequisite to be met for assessment. College ERP modules thus measure the attendance rate of students subject wise, rather than an overall attendance record. 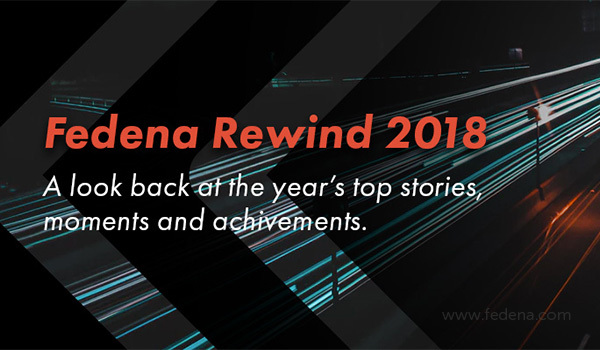 Recap: What to expect from Fedena in 2019? In both schools and colleges, attendance, assessment, and examinations are highly dependent on how time is broken down in each of these institutions. For schools, the yearly batch seems to be of the most significance – students progress from year to year, and all their attendance, assessment and examination rules are thus based on their batch year. School ERP modules reflect this system automatically. For colleges, however, progress is determined by course, rather than the year in which attendance, assessment, and examinations are measures. This difference is reflected in dedicated college ERP modules. 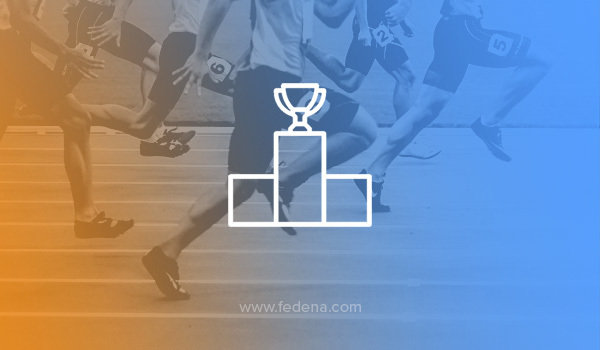 What You Can Expect from Fedena in 2019? 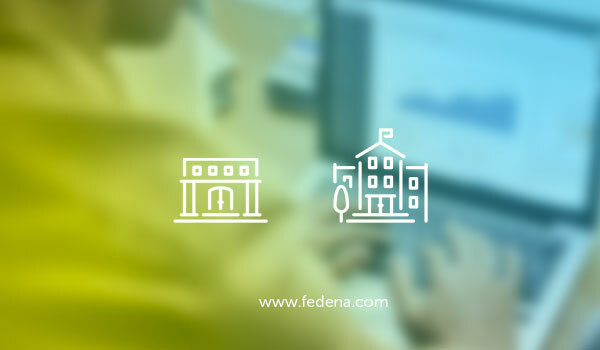 Fedena is evolving consistently, every year making significant improvements in functionalities and constantly redefining its goals to impart a wonderful user experience and to make to product more modern, automated and futuristic so that it helps the institute in running their daily operations in a much more better way. In 2018, we have seen from the Tax module to ID Card/Certificate generation module and for this year there are various innovative feature is in-line which will totally upgrade the Fedena. The vehicle tracking system in the transport module will allow integration of GPS devices on school vehicles. Parents can track the location of their wards vehicle during a trip and also be notified during various points of the trip like bus starting from school, bus reaching near the defined stop etc. Syllabus plans can be created by the school at the start of the academic year. The structure can be defined by the school to capture the required details. Lesson plans can be created by the teachers for a specific duration like a week or a month. Teachers can record notes and comments against the lesson plan and send notifications to students and parents. The biggest update to Gradebook in 2019, Report Card Templates will allow users to select from a list of report card designs as per the need of the school. These templates will allow different types of details like attendance, performance analysis graphs, student photo etc. to be shown in the report card in different color and designs. With this new feature, schools can customize SMS messages sent from Fedena with their own content. All automated SMS sent can be configured by the school. SMS messages that are sent often can also be saved as templates and sent quickly. 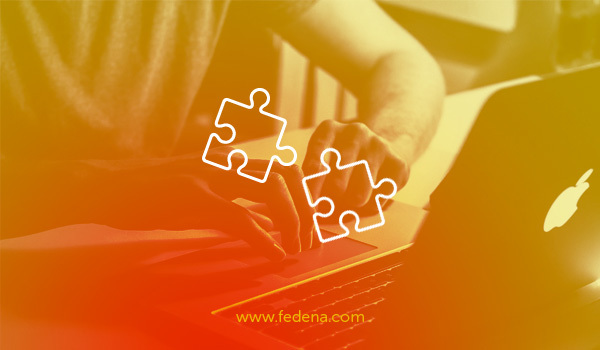 The Fedena Connect mobile app brings the same multi-language support you have enjoyed in the Fedena web app. Starting next year, the mobile app will be available in 2 new languages – Arabic and French. How School ERP App bridges the gap among Parents, Teachers & Students? The educational industry is evolving as, like all other industries in the world, it is also embracing technology in order to become better. It is looking to establish itself in a more efficient and effective manner. All around the world educational institutions are looking to becoming as productive as they can be with the help of the resources that they have access to. The main aim, in this case, is to bridge the gaps that are there in the educational system as of now. This is where the software solutions, which happen to be Cloud-based in nature, are playing such an important role. They can be called a game changer in the context of the educational industry and have made the process of administering educational entities such as schools a lot easier than what it was before. The enrollment procedures have become quicker than earlier, it is easier to manage data, and other operations are also now being done with a greater degree of efficiency. It can be said for sure that with the progress in the technological domain schools are becoming more skilled in that particular respect as well. They are a lot more prepared when it comes to taking on the world, as it were. A significant part of this development has been improving the communication between the most important stakeholders of a school from an academic point of view – parents, teachers, and students. How have the parents realized this? There are plenty of parents in the system who are now able to understand the true benefits of a school management app from the point of view of communication. It must also be said that they have been rather quick to cash in on such opportunities. They know that these technological tools are capable of managing in an effective manner all the educational resources available in a school. This is the reason why schools are opting for school management app when it comes to managing the gaps in communication between them, their wards – the students – and the teachers. This is the reason why these systems are being hailed as state of the art ones. It also helps that educational institutions these days have become a lot more open when it comes to embracing such change. These systems have been created in such a way that they are able to manage various requirements of a school. One of the greatest features of a School ERP App is that they are a lot ahead of the time that they are being used in. They have been created keeping the future in mind. They have been developed in an extensive manner so that they are able to deliver some really unique features such as online dashboards. These dashboards come in extremely handy in the sense that you get all the information that you need on various aspects of a school at a single place. They also have calendars that contain all the important events that are to be organized by the school within a certain period of time. They come with attendance management features as well which enables all the users to keep track of attendance of the students. This means that in case a student is absent for some reason or the other the parents can come to know of it straight away, provided they did not have that knowledge already. Recap: How teachers can help students during their pre-board examination preparation? They have sections on homework where all the users can get complete information on homework being assigned by the schools regularly. There are sections on fees as well that enables the users to get information related to fees payment and other relevant matters on their registered cell phones. This allows parents and students to keep track of the schedule of fees, the fees that have already been paid, the installments that would be due in short time, and all the installments that they are yet to pay. There are sections on results as well where the users can get complete information on results and the like in a timeline sort of view. Schools can send such information on parents on a regular basis through these apps and parents can also receive them without any problem whatsoever. Thus, as you can see, a school management mobile app provides all users all the information that they need on their fingertips and thus does away with any chance of any miscommunication or other such issues. This is perhaps the reason why these technological tools have become so indispensable for the schools today. This is applicable for the parents and the students as well as they now no longer need to worry about getting proper information. It is expected that in the days to come the companies that are developing such products and services would train their energies and resources on a quicker delivery. The aim, in this case, needs to be on providing the very best possible product for the users and being as unique as they can be so that the different needs of the users can be met on a more than adequate manner. They are looking to make a major impact – albeit a positive one – on the entire education sector as such. They are always making their best efforts in order to make sure that they can make their own fair contribution to the development of the education sector. How Teachers Can Help Students During Their Pre-Board Examination Preparation? Boards exams are one of the most important exams in the life of a student and are often considered the stepping stone for one’s glorious future. Board exams results are considered to be a key factor in for getting admission in higher secondary schools and colleges of their choice. They are the foremost parameter that guides the paramount decision of whether the student will be able to get the preferred stream of education in higher classes. They are also considered to be an important part of a student’s professional resume, indicating their academic performance and achievements. These are some of the reasons that closer to the board exams, the atmosphere in classrooms becomes serious with students and teachers putting in the best of their efforts. Smart schools and teachers are also opting for student management software to help the students during their pre-board examination. While the board exams are given by the students, it is a well-accepted fact that the students who perform well are the ones who have ample support from their parents at home. The online student management module allows teachers to stay in touch with the parents, keeping them updated about all the happenings in school and the student performance in the classroom. This module of a school management software also helps the parents to keep a track of student’s attendance and check the exam related reports of their children, thus by helping the parents stay updated about the students, they enable and empower the parents to be able to support and guide the students even at home. Using the blog post module of the school management software, the teachers can post blogs as a learning tool for the students. Additionally, these blog posts can also contain tips for exams, learning guidelines, discussions on relevant topics, resources for assignments and lots more These blogs can be a source guide for students as they prepare for their board and pre-board exams. For students preparing for their pre-board and board exams, online discussions held over the school management software are an important tool that will help them to stay connected with their peers and teachers during after-school hours. Discussion module helps the students and teachers to interact with each other, resolve doubts, get their queries answered and share their views through posting comments in the discussion board. As administrators of these boards, the teachers can moderate these discussions, participate in them and delete comments that may confuse the students. 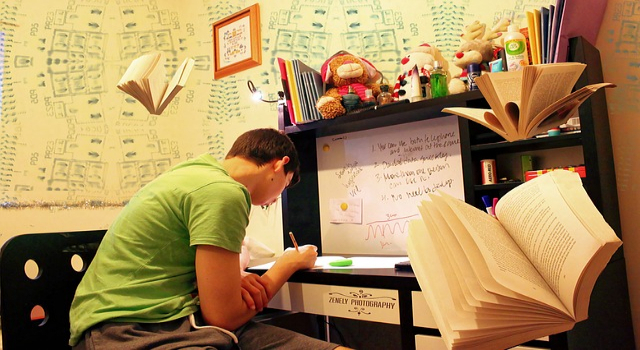 For students preparing to sit for their pre-board and board exams, regular practice through tests and assignments is an essential part of the preparation as the constant practice not only improves their understanding of the subject, but it also improves their self-confidence and is a perfect way to prep for essential exams. 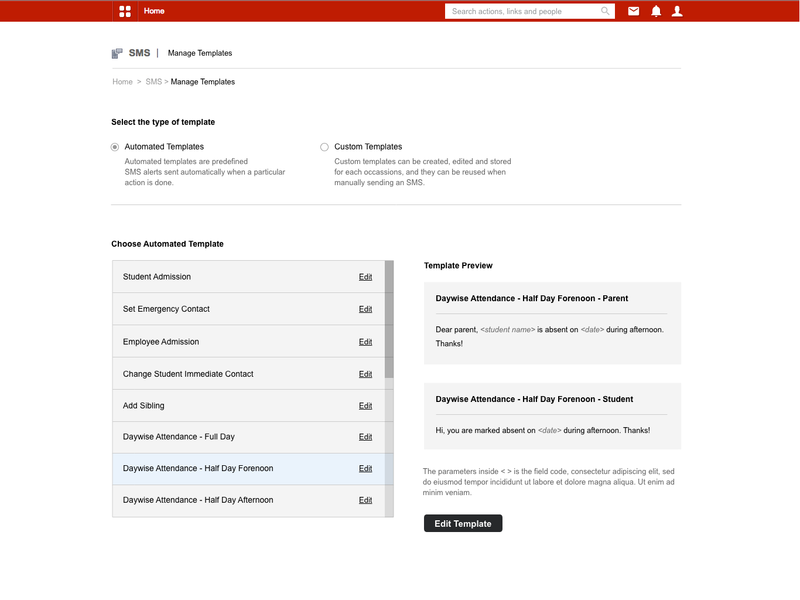 The Assignment plugin in the school management software is designed to help teachers distribute homework, tests, and assignments to students on a regular basis. The online system makes it easy for the class teachers to distribute the tests, collect completed work, review it and provide essential feedback to students that will help them learn better and perform better in their exams. Once the students have participated in the online tests and exams given by the teachers to prepare them. The custom student remarks module helps the teachers to provide comments for each of the student on the basis of performance in different subjects. The teachers can either give common remarks to the entire class correcting or guiding them or the teacher ha the option to give individual remarks to a student on any particular exam conducted. Besides the teachers and the students, the parents can see the remarks in their profiles for daily updates and can accordingly keep track of their child’s academic progress. Closer to the date of the exams, as the schools share their event calendar with the dates for exams, vivas, practicals and other important dates related to the board exams. Using the event calendar feature of the school management software makes it easier for the students and the parents to stay updated about the exam schedule and any changes related to the same. Another essential feature of the school management software that can help the teachers prepare the students better is the collaboration feature. This feature allows students and teachers to collaborate with each other via text, audio and/or video at any time. They can create group sessions to provide extra online coaching to students and these sessions can be recorded and shared for future use. Additionally, the group chat session helps students to clear doubts and get a better understanding of the subject. Today, education is highly cut-throat, and students can lose out of getting admissions in colleges of their choice due to a few marks. In this hyper-competitive world, where every single mark counts, it is important for teachers to do all they can to help give their students the extra edge. The use of a school management software with its various tool and modules enables the teachers to reach out to their students at all times and offer them the best possible learning experience. It allows the teachers to help the students improve their learning skills and keep practicing until they are ready for their big exams. After all, practice makes perfect! Very simply put, leave management is the tracking of employees who are applying for leave, the granting of said leave by the employer, and the ongoing tracking of leaves and holidays have taken over a given period of time. Leave management can be tracked on a predefined timeframe set by the employer themselves – so leaves can be applied for, granted, and tracked on a half-yearly, yearly, quarterly, monthly, or semester wise bases. Leave management helps streamline the entire attendance management process in a way like never before. With leave management, employers or institutions have a better sense of when and how their employees show up for work and when they do not. Leave management is also useful in terms of gaining data about an institution’s functioning, especially with regards to its employees. For instance, leave management helps identify patterns that may be indicating issues that could easily be resolved or provide some data about employee productivity or even just simple information about attendance patterns for various groups of employees. This information can then influence various administrative and human resources management decisions that the institution may make. What is School ERP Software? School ERP software is a tool or platform that helps schools manage their daily and ongoing processing that is a part of running an educational institution. This means it is a tool that allows certain repetitive or common processes that are usually performed by human personnel to be taken over by technology. In these modern times, most schools are using some sort of school ERP software to help manage their running of the school. School ERP software can handle a multitude of tasks – from admissions to accounting to alumni management. It is thus useful for a variety of stakeholders in the educational ecosystem, from parents to teachers to students to management to non-education staff like administrators or the finance team. Why does institute needs Leave Management feature in School ERP Software? Leave management with school ERP software can really enhance your educational institution’s usage of this piece of technology. Combining leave management with school ERP software integrates the system of leave application, granting, and tracking in the same tool that is being used to manage all other internal and external school processes. Instead of using traditional methods like an attendance register, leave management with school ERP software makes the whole process easy and free of fuss. What are the benefits of Leave Management with School ERP Software? The advantages of leave management with school ERP software are many and affect every stakeholder in the educational ecosystem. Broadly speaking, the automation of leave management with school ERP software takes a process that was originally driven by humans and uses technology to resolve it instead. This signals to the world that the school using leave management with school ERP software is technologically proficient, forward-thinking, and preparing students to be ready for a globalized and highly high tech world. Leave management with school ERP software helps management reduce labor costs by a significant amount. Ordinarily, the processing of leave applications and granting or denial of leaves would be managed by some human resource in the administrative team of a school. With leave management with school ERP software, this entire process is automated. Once the school-specific rules and guidelines are programmed in, teachers and students merely apply for leave within the software and are notified of their status within it too. The school ERP software maintains records automatically, eliminating that task for a human resource also. As explained above, leave management with school ERP software results in a significant reduction in labor costs, thanks to the elimination of the need for human intervention in the entire leave application and leave granting process. This also means a reduction in overhead costs for management. How? First, the reduction in labor costs means that management is saving allied costs of having to employ and train another human resource. Further, the peripheral costs from the leave application — from the production costs of application forms to the time spent by multiple humans processing it — are also reduced. These small reductions may seem insignificant at first glance, but truly add up to positively impact the school’s bottom lines. It is a win-win for management on the whole. The key function of leave management with school ERP software is to maintain a record of application and granting of leaves for employees like teachers or non-education staff and even students. This tracking of attendance and leave-taking is important not just on the practical level of knowing who is available at any given point of time but also in terms of understanding the functioning of the school better. Leave management with school ERP software enables schools to better manage their facilities and create policies and rules that are responsive to reality rather than perception. When you deploy leave management with school ERP software, the questions “Is such and such on leave?” becomes obsolete. This is because leave management with school ERP software allows for leave notifications or reminders to be sent out to all relevant parties that need to be kept in the loop. For instance, you can set up a notification or reminder system for all leaves taken by teachers to be sent automatically to the finance department to ensure efficient payroll processing. Leave management with school ERP software allows administrators to add and edit the various types of leave that are offered by the school. In general, educational institutions offer different types of leaves – from sick leave to personal days, to leaves with loss of pay, to annual leave. Obviously, these types of leaves are static. When you integrate leave management with school ERP software it is possible to change these classifications easily and quickly. In the end, leave management with school ERP software is the first step to creating a comprehensive understanding of the attendance and leave-taking habits of both students and staff at your school. Deploying leave management with school ERP software enables you to generate informative robots that capture this data in a useful way. Recap: How School management system ease the admission process? Integrating leave management with school ERP software will make applying for leaves a complete breeze. Teachers and students will just be able to use the existing school ERP software they are familiar with to apply for leave from within their app. 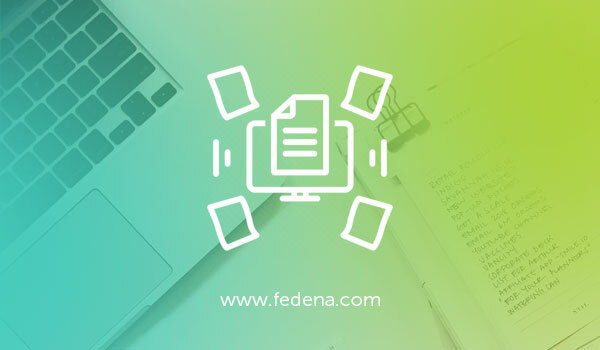 When using leave management with school ERP software like Fedena, it is possible to apply for leave at any time from any platform or device. Being able to swiftly and easily apply for leave reduces an immense burden on not just the teachers and students of a school, but also its staff that would other be burdened with the task of having to keep track of these applications, have them processed, and then communicate that to the applicant. Instead with leave management with school ERP software, labor, and overhead costs are reduced and time is utilized more efficiently thanks to automation of leave management in itself. Leave management with school ERP software helps teachers and students know at a glance how many leaves they have remaining. This is because using leave management with school ERP software helps tracks days attended and leaves taken against the school’s holiday calendar and attendance requirements easily within one tool. It is important for teachers and students to be able to track their status using leave management with school ERP software because it helps them better plan their days and adjust the pace of their teaching and learning accordingly. Okay, you have applied for leave in the leave management with school ERP software. Now what? Integrating leave management with school ERP software allows teachers and students to get notified in real time about the status of their leave application. This is because the school ERP software is available across multiple devices and at any time for students and teachers. Integrating leave management with school ERP software only extends the omniscience of this piece of technology. The year is about to end and it is a time to say goodbye to 2018. 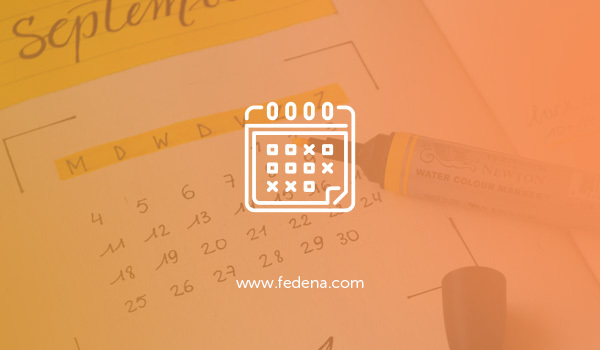 During 2018, we have released various new features of the product —along with this, first-time Fedena organized Virtual Summit focused on School Operations Development. 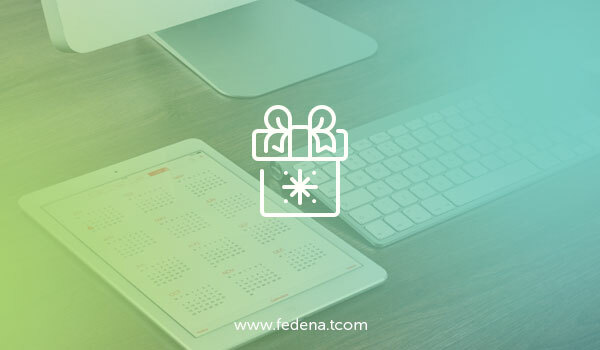 As the end of a year is approaching we’d like to take a moment to look back on all the improvements we have brought to Fedena in last 12 months. So sit back and enjoy the trip down the memory lane. With this, we bid adieu to 2018 and welcome 2019, a year with unlimited possibilities, opportunities, and growth. Here’s wishing everybody a very happy new year! Stay tuned for what’s to come in 2019! Why schools should have dress code? One of the first benefits of having a dress code for a school is that it takes away the matter of competition for dresses. In the last 10 years as it is we have seen a lot of fashion and flamboyance being introduced to the regular dresses worn by kids to their schools. People are also comfortable with price tags. In some of the neighborhoods these days it is perfectly okay to wear price tags on clothes. This is where peer pressure to get to a student even as he faces stiff competition in dressing right in the absence of uniforms. In fact, it can be so tough that they have to find work after school in order to get money so that they can maintain a certain lifestyle in school. As far as a school environment is concerned uniforms have a leveling effect in the sense that they keep a greater focus on learning rather than showing off one’s status through clothing. This is especially true in schools where you have a fair amount of economic difference among the students in the sense that some are better off than others. This establishes a sort of equality between people who cannot afford expensive dresses throughout a year in keeping with changing weather and style statements, and ones who are able to do so. When schools have uniforms it encourages students to develop their methods in areas other than dressing. This has especially been seen in schools where the administration has changed from casual dresses to uniforms. The parents and teachers in these schools are the best people from whom you can ask how fruitful these changes have been. Human nature is such that it compels people to express the creative talents that they have as well as their personalities. However, in the case of many students, it has been seen that clothing is their only creative expression. This is where a system of uniforms can prove to be so very helpful. When you have uniforms in schools it adds a great sense of safety since everyone is wearing the same dress. This also means that students cannot be identified and classed into gangs on the basis of their clothing. This also dissipates threats such as theft and group violence. In fact, in some parts of the world authorities are now introducing uniforms in order to quell such threats. They are trying to do away with these issues and make the school less violent and dangerous, and, thus, safer to attend. These days, schools have become rather unsafe with students killing each other as well! This is happening because they want to own sneakers that are expensive and designer jackets that are worn by others. However, when you have uniforms in a school such incidents of assault and theft can be kept to the minimum possible level. Violent acts of crime can be eliminated by uniforms. A great effect of uniforms in schools is that they can increase attendance records. One of the major reasons for this is the fact when you wear a uniform there is a lesser chance of you being ridiculed by other students because they feel you look bad or funny. You would feel a lot more at ease. With uniforms children who are from the lower strata of the economic ladder no longer feel bad because of the quality of their dresses. This makes them a lot more eager to attend school as well. As has been said already, when you have uniforms in school it takes away a lot of the pressurizing elements that would otherwise make a student want to miss school. In a number of research-based studies it has been seen that there is a direct relation between what is thought and said about a student and what he wears to school. It is said that teachers will always choose the more disciplined looking students than the disheveled ones. They would expect them to perform better. However, with uniforms, the chances of this happening are lesser. 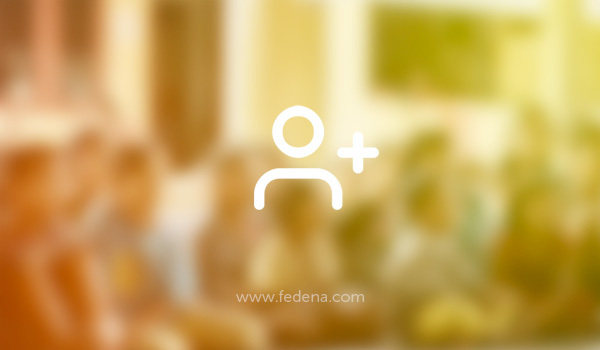 How Fedena School Management Software Ease The Admission Process? All across India, the December heralds the month of school admissions. During this season, one often sees long serpentine queues near schools and educational institutes and parents wake up in the wee hours of the day and stand in line the entire day to secure admissions forms for their kids. For schools too, this time of the year can a chaotic time as schools need to focus of issuing admission forms, collating the fees for the same, collecting data, saving and managing the data, sorting admissions… the list can be endless. However, an easy solution to opt for school management software modules with a feature for admission module in school management. Today, schools and educational institutes all over the world are comprehending the need for a school enrolment software that can help the administration team take care of the school admissions in a seamless manner. With the help of a school enrolment software, the schools can distribute the admission forms to a wider audience as it offers them the option to make a payment online and simply download the admission forms at the click of a mouse. This admission form can be downloaded from the website or social media channels and hence is accessible to a wider range of audience. 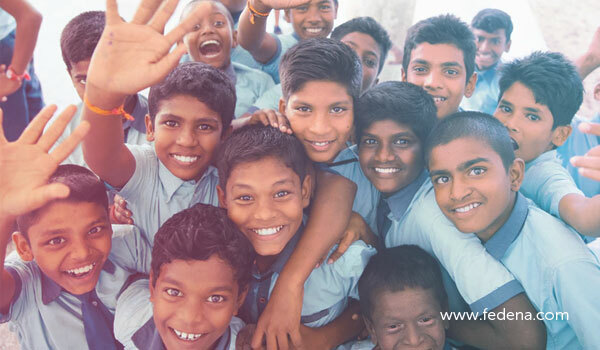 The digitally savvy students and their parents can not only download the form at the click of the mouse, but they can also use various mobile and cloud-based applications of the school management software modules to allow the parents to submit the forms and upload the various admission documents as needed. All the submissions and the documents related to the admission on a student can easily be done online using the various features and the functionalities of the admission module in school management. Traditional paper-driven admission systems are also characterized by endless phone calls by hassled parents and students looking for information on the admission process, updates on the application status and other admissions-related information. However, school management software modules, schools can send parents and students timely updates about the admission process. This involves updating parents automatically on admission test dates, locations, results, interview date, reminders as well as final admission status. Automation of this process saves parents the hassle of endless calls to the school team. With the help of technology, the administration can send parents automatic emails and mobile messages – as and when needed. This paperless admission process is not only easier for the parents and the administration team, but it also helps to create a savvy and modern image of the school in the minds of the parents. Additionally, this digital system helps the schools to maintain a database of all the applicants across the years. The schools can then reach out to these students and use the software to send out automatic updates and emails about events in the schools, new course and special guest lectures as and when needed. Today, schools’ no longer function as standalone units and many schools have multiple campuses across various locations. The use of an admission module in school management will ensure that parents and students have a similarly seamless experience irrespective of the location. It also ensures that the admission process can be managed in a multilingual manner for parents or guardians who are more comfortable in local languages. Using a school management software module with a feature for admission module in school management enables schools to securely store all the student-related data such as financial fees information, addresses, medical history in a safe digital platform. This only not ensures the information can be accessed by unauthorized personnel, but it saves schools the hassle of keeping all the admission forms and other data in a safe vault or storehouse. Recap: How school ERP software can benefits school, students and others? The admission season is a stressful season with plenty of opportunity for human error. The pressure of meeting the admission targets, the constant deadline and the tension of procession thousands of applications, can often be a cause of errors in the admission process. This is embracing for the school and can even cost the school its reputation. The use of a school management software module helps eliminate reasons potential for such careless errors. The admission season is also characterized by the collection of multiple fees such as admission fees, transport fees, books, library fees and the creation of a timetable. Both these tasks are stressful for school teams. The use of a school management software module with a feature for admission module in school management enables schools to simpler ways to for the schools to manage fee payment and automatic invoice generation. The online system also generates a fee summary at the start of every academic year to ensure that students and parents are aware of the financial obligations and automatic updates to parents ensure that they get timely reminders for the payment. The online system also helps the class teachers during the admission season to schedule the timetable for the years, including details such as the number of students per class, teachers and substitute teachers assigned. When selecting a school for their children, ease of admission is an essential feature that many schools tend to overlook. With the help of school management software modules with a feature for admission module in school management schools can make the admission season an easier experience for the parents as well as for their staff. Today, we live in an era where time is an essential and scarce resource. Using a school management software module can help schools ease out the admission process for schools. Go Paperless: How School ERP Software Can Benefits School, Students & Others? Besides these benefits, going paperless by adopting a school ERP software also offers multiple benefits to schools, students, parents, teachers, and administrators. But what does going paperless entail? Going paperless essentially meaning adopting a digital system such as a school ERP software that allows for the electronic creation and storage of documents and files to manage school data instead of the traditional format of the paper. Traditionally schools generate a lot of data from the academic records of students, to financial details, medical data, administration related information and this often mounts to reams and reams of paper that need to be collated, sorted and stored. By going paperless with a school ERP system, it becomes easy to manage and store this data in a hassle-free manner. Additionally, the school ERP system adds an element of security to this data so that is cannot be accessed by unauthorised individuals. For the authorized individuals looking for data, it ensures that there is real time access and any change made in the system can immediately be seen and approved. Today, students are digitally savvy, and many learners prefer learning online through games, tablets, websites than traditional textbooks. For these students online learning options that are available at the click of a mouse help improve their classroom experience as well as appeals to their learning style. Using an ERP school system with a learning management module will help schools to create a paperless interactive learning environment which appeals to the children of the digital age. Going paperless with the help of a school ERP software provides multiple benefits to the teachers. It ensures that routine tasks such as attendance management, test grading, report card management gets taken care of in a seamless and effective manner without any involvement of the teachers. Automation of these tasks frees up time so that the teachers can utilise the classroom time in an effective manner. Additionally, by going paperless and elimination text books, teachers get an opportunity to provide course materials for students electronically, It also facilitates electronic homework and assignment submission where teachers can access, verify and provide feedback on the same with grades. Another benefit of going paperless and eliminating the need for a school diary as the school ERP system sends automatic updates to the parents when needed. This way the parents stay updated about the child’s experience in schools and the teachers do not have to spend hours writing notes in the school diary. Going paperless involves the adoption of a school ERP system which then collates and manages all the data for the school. For the parents, this ensures that the automatic system keeps them constantly updated on the happenings in schools, they can track their children in school, stay updated on the whereabouts of the school bus and know that their child is safe in school. It also makes other processes such payment of fees, admissions, miscellaneous formal procedures easier as the online system allows the parents to complete these procedures from the comfort of their home rather than spend time standing in long serpentine queues. Recap: How Does Biometric School Attendance Management Software Simplify Payroll? Going paperless offers multiple benefits to the school administration team as the collation of data and managing the data becomes a lot easier on an online system. School admission data, as well as student-related data, can easily be managed without struggling through reams of data. Additionally, this data can be accessed easily and changes to the same can be managed without any stress. While there is no denying that going paperless helps to save the environment and reduce waste, there are numerous benefits for a school from going paperless. Today, digital tools for schools and in education are slowly gaining momentum in school and educational institutes around the world. What is Biometric School Attendance Management Software? Biometric school attendance software is software that collects biometric information in order to collate attendance data. Think of a fingerprint scanner or an iris reader that you might have seen in your school or office at ports of entry and exit. These are simply a type of biometric school attendance software that is already in your school. Increasingly, thanks to more easily accessible technology and growing student security needs, biometric student attendance software are really gaining a foothold and becoming more prevalent in our educational institutions like schools and colleges. Biometric school attendance management software might seem like futuristic technologies for fancy school, but they are actually cost-effective and highly useful for all stakeholders in the educational ecosystem. Biometric school attendance software relies on biometrics – measurable information based on human characteristics – to track the attendance of everyone from teachers to staff to students. The biometric school attendance software essentially tracks in real time every entry and exit of every person entering and leaving a building. It is arguably the most effective school attendance software on the market. Why do Schools Need Biometric School Attendance Software? It could be argued that school essentially functions as a job for students. It certainly does for teachers. It is thus necessary that the very concept of attendance be treated seriously by all parties. Previously, we have used devices like signing in at attendance registers or asking security or administrative personnel to confirm the attendance of teachers, or just using an honor system. These systems are unfeasible for a variety of reasons, ranging from being impossible to scale up in the case of the honor system or self sign in to incredibly expensive and unreliable in case of having a human resource keep track of comings and goings. They have been in use for so long because of the inaccessibility of expensive technology. However, this is no longer the case. Nowadays, biometric school attendance software is widely available, financially viable, and easily installed at your school. Schools and other educational institutions are where students and teachers spend most of their days. It is necessary that their whereabouts are known and accounted for, in order to maintain a secure facility. Relying on traditional methods like eyewitness accounts and self-sign ins is not feasible, especially when technology like biometric school attendance software is so highly accessible. Whom Biometric School Attendance Management Software Help? It might seem like biometric school attendance software is only useful for truant students. But as has already been discussed above, biometric school attendance does not just track student attendance but also tracks the attendance and leaves of teachers and other non-education or administrative staff. This helps management keep track of the daily functioning of the school easily and cost-effectively, helping them manage their bottom line. This is vital for management considering the financial setbacks and funding cuts that most schools and colleges face these days. Biometric school attendance software is thus useful to every single stakeholder in the educational ecosystem. How is Payroll Processing Impacted by Biometric School Attendance Software? Payroll processing is one of the most important, yet time-consuming and taxing functions in a school. So how can your biometric school attendance software help? Below we discuss how payroll processing is made easier thanks to the impact the right biometric school attendance software can make. Overall, these advantages help feel payroll processing software accurate information automatically. With biometric school attendance software, the need to review archived tapes or attendance logs is eliminated. Instead, know when teachers or non-education or administrative staff is entering and exiting the school in real time. This is because the biometric school attendance software reads, stores, and shares entry and exit data in a matter of seconds. No lag time in the storage of attendance means that you know exactly where teachers or staff are at any given point of time. Attendance can often be faked or manipulated by malicious elements in the school ecosystem. Much like their students, sometimes teachers and staff can attempt to have someone sign in on their behalf in the traditional paper and pencil attendance register. This is practically impossible with biometric school attendance software. This is because the biometric school attendance software reads biometric information that is unique to each human. Proxy attendance – a very huge student problem in Indian schools and colleges – is entirely eliminated by biometric school attendance software. This reduction of fraudulent attendance reports is necessary for school, especially, who are constantly dealing with budget cuts and must pinch pennies where they can. No employee likes to wait to be paid and this is no different for teachers and staff in a school. Since payroll is such a sensitive function, it usually is a huge undertaking for a school’s finance team in terms of time and labor. But no more! Now, Your payroll processing software can be plugged into your biometric school attendance software to streamline and automate payroll processing. This is because the biometric school attendance software is reliably tracking attendance and leaves of teachers and staff throughout the day. It is also able to share this information with the payroll processing software and then make the required deductions or additions to the payroll, on a person by person basis. Using biometric school attendance software in conjunction with your payroll processing software pretty much automates the payroll processing entirely. Thanks to the accuracy of information that the biometric school attendance software receives and shares, the data it shares regarding school attendance and leaves records can be relied on. This means that when a payroll processing software is plugged into it, people’s pay is being processed based on reliable information – instead of self-reported information or information that is prone to error thanks to a human recording it through observation. A biometric school attendance software is thus less susceptible to errors than a fallible human, making it the better option for payroll processing. Why Competition is Necessary in Student’s Life? One of the biggest truths of the animal kingdom is the adage that says – Survival of the fittest. This essentially means a competition for life in the animal kingdom where the strongest animal, the fastest animal survives. However, among humans, we often frown upon the concept of competition among children. Especially academic competition as we feel that this often adds due pressure and leads to stress among kids. However today, many scholars are of the option that that competition is necessary, ingrained and essential not only for adults but also for children. In fact, there have been multiple studies that have shown that under certain conditions, competition can improve performance and happiness. What are some of the life lessons that competition teaches children? We all love to admire sportsmen and women who at the risk of losing their medals, stop the race to help a fellow contestant – these are winners with grace who understand the spirit of resilience. While losing is a face in competition, winning is the other side of the coin and competition teaches your kids these facts of life. It allows them to win with grace, respect the opponent and enjoy their win with the right spirit. The competition also reminds children that a win today could be a loss tomorrow and hence one must always have the right attitude. A spirit of competition teaches children the importance of taking a healthy risk instead of only doing activities that they are comfortable with. It teaches kids to step out of their comfort zone and they often being averse of new risky activities can keep them from enjoying activities that they may grow to love. Taking risks such as participating in a new race or enrolling yourself for new activities also helps build the self-confidence of children. This confidence will go a long way in helping them as adults navigating a fiercely competitive adult world. Recommended Read: Do Or Don’t: Listening To Music While Studying? Children also stand to learn a lot about sportsmanship and the right competition spirt in their childhood. They learn that every competition produces losers and winners, however, this does not define them and that one win or one loss is not what makes or breaks them. It teaches kids that communication and social skills that competition endows children are boundless. The lessons being a good loser or winner home is one of the biggest traits of a winning personality and this is an essential trait to lean in one childhood. Adult life is filled with stress and competition in one’s childhood helps to understand this stress at a very basic level. It teaches the child to deal with pressure, stress and in many ways prepares them for an adult life where they do not drown under pressure but have ample of coping techniques under their belt. What about competition in schools? Today, parents across the world are realizing that while competition in schools develop self-discipline and drive in students to achieve more. But this competition in education needs to be purposed and packaged in a way that encourages slow learners instead of taking away their confidence. Healthy competition in schools helps the children learn more about themselves and their motivations. What are integrations in school ERP software? School ERP software is any tool or platform used to manage a variety of processes and functions in an educational institution. While most school ERP software has inbuilt functionalities that address all the needs of various stakeholders in the educational institution, oftentimes users want their school ERP software to do more. This is where integrations come in. Integrations refer to the capability of your school ERP software to work with or collaborate with an external functionality and have it smoothly work like it would normally. For instance, an email integration allows you to basically connect your school ERP software to your email client so that you can easily integrate or shift between these two applications as needed. Why do we need integrations in school ERP software? School ERP software tends to be quite comprehensive in nature. It makes sense why – the very purpose of a school ERP software is to be a robust and reliable tool that handles every function and process an educational institution could need. Why then would we need integrations for our school ERP software? To answer this question it is important to understand that educational institutions do not function in silos. They often have to interact with stakeholders that might not be within this field. They might be using software and hardware that was not necessarily built for educational institutions. Their capabilities are affected by these factors and the fact that dedicated educational technology is still a nascent trend. For a while now educational institutions have relied on using technology or tools or platforms for various functionalities that may have not been built for them, but have become the de facto tool, software, or platform to use in a given industry or by a given stakeholder. Often times, these types of preferences are deeply ingrained and difficult to change, especially when it comes to external entities. This is where integrations come in to save the day. With integrations, educational institutions bridge the gap between their school ERP software and whatever tool, software, or platform that is already in use by stakeholders they have to work with. Who benefits from integrations in school ERP software? A common misconception about school ERP software is that it is only useful for administrative staff in educational institutions. This is because school ERP software is so adept at taking over processes or non-education functions that administrative staff is primarily responsible for in most educational institutions. But nothing could be further from the truth. In reality, school ERP software is for all stakeholders in the educational ecosystem. These stakeholders include teachers, students, parents, non-educational staff like an administrative staff and even the management or controlling board of a school. The same applies to integrations in school ERP software, since through the use of the school ERP software these numerous stakeholders will inevitably be making use of the integrations also in the course of their professional interactions. What type of integrations is possible in school ERP software? It is obvious that multiple integrations are possible with your school ERP software. Everything from email to financial software can be integrated with school ERP software. It might be to increase the functionality of your school ERP software as much as possible by integrating everything possible. But the sheer range of possible integrations might be overwhelming for some school ERP software users. So where would be the right place to begin? One of the biggest integrations possible with your school ERP software is biometric ID or RFID integration. But what is biometric or RFID? RFID stands for Radio Frequency Identification. Biometric IDs are any form of identification relying on biometric information – like an Aadhaar. 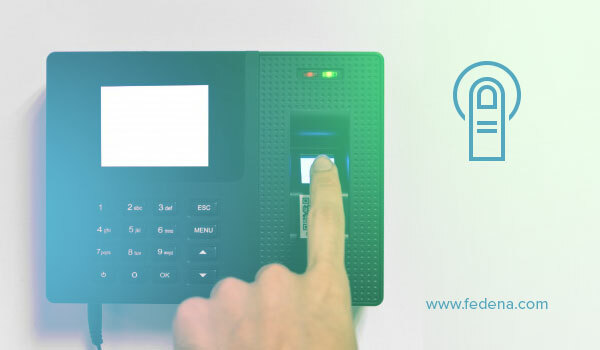 Your school ERP software is capable of integrating with ID cards enabled with biometric info or RFID to automatically convey information every time the ID card is used. An example of the kind of information this integration would collect would be something as simple as entry and exit times for students using their ID to swipe in and out of classrooms and even school itself. Your school ERP software is capable of integrating with a bulk SMS provider of your choice, enabling management, teachers, and administrative staff to connect with parents and students easily and in one go. Parents and students can also set up SMS alert notifications that are reliable and delivered at scale thanks to this type of integration in the school ERP system. Finally, SMS notifications can be set up to be sent out in bulk automatically every time certain events occur in your school ERP software, eliminating the need for human intervention in case of routine alerts. School ERP software can be integrated with your preferred email client in order to set up email notifications for a variety of stakeholders – such as parents and students. But this does not mean spam email from your school ERP software. In reality, the integration empowers the administrator to send emails to select stakeholders. They can also give permission to key employees to be able to the same through the school ERP software integration itself. Finally, automated emails can be set up for specified groups of recipients for specific events taking place in the school ERP software. Recap: Web-based college ERP system – Why is an effective solution for higher education institutions? This is a good example of an integration made necessary by the existing status quo in an industry. While your school ERP software has its own financial and accounts management capabilities, externally Tally software is the one most used by accountants and other financial personnel. Schools would be hard pressed to find professionals who will be willing to work with their custom school ERP software when a perfectly functional alternative works just fine and is used widely across their industry. This is where Tally integration in your school ERP software comes in handy, making it possible to bridge the gap between two different software. Why would a school need barcode integration? This might seem like a pointless integration but is actually extremely useful for library services your school offers. Integrating the barcode with the library module of your school ERP software ensures that barcoded library books and materials borrowed by students and teachers are tracked. Your school ERP software thus also ends up helping with inventory management for your library electronically. Integrating the mobile app with your school ERP software is almost a necessity. These two arms of the same tool must work seamlessly, and this is made possible thanks to easy integration within the same school ERP software. While some school ERP software has their own payment gateways, many schools already use their own custom payment gateways that they may not want to abandon. This is where custom online payment integration comes into play – a robust school ERP software will allow for such an integration that delivers smooth and easy payment.